Are you looking to avoid the papers and tests piling up? Do want a place to go to procrastinate that’s not just the happy place inside your head? I’d recommend a trip to the movies. But, of course, if you’re going to go to the movies and spend the painful $13.50 for a ticket, you’re going to want it be a good movie theater. And I have spent enough time bouncing between theaters in the Boston area to offer what I believe to be a definitive ranking of theaters in Greater Boston. This might be somewhat of a controversial take. After all, this is a pretty conventional theater with cushy seats and lots of different movies with lots of different show times. However, it also tends to get painfully overcrowded at peak times and also requires a trip on the painfully slow Green Line to get there. Plus, most movies showing here are showing at the Regal Fenway. It’s not worth it. AMC Boston Common offers a wide array of movie selections at the end of the Green Line. PHOTO VIA FLICKR USER BWCHICAGO. The upsides of this theater are $7 tickets, real butter on the popcorn and the beautiful inside. The Somerville Theatre also shows an interesting mix of art house and mainstream movies. It also hosts performances and film festivals during the year. However, you have to take the Green Line and then the Red Line all the way to Davis Square to get there. So unless you’re committed to spending 40 minutes on the T each way, I would stick to going to the Somerville for special occasions only. The Kendall Square Cinema typically has a great selection of movies, getting some independent art house picks that never make it across the river here. But once more: location, location, location. Getting to Kendall Square means taking the Red Line, and then walking 10 minutes through a random part of Cambridge. Looking into the windows of the MIT buildings gets old fast — especially in winter. Location is what puts this theatre in spot No. 4. This is the movie theater that is closest to Boston University and easiest to spontaneously decide to catch a movie at last minute. If you want to see the latest variation on the Marvel formula, this is your theater. Plus, the seats here recline so far back you might as well be in bed. Are you looking for something a little more out of the box? Do you like being a room where there are more advanced degrees than heads? The Harvard Film Archive is the place for you. Meticulously curated, the Harvard Film Archive hosts multiple film screenings in the course of a month. These series can feature anything from experimental film (Stan Brakhage, Jonas Mekas), to retrospectives on classic filmmakers (Jacques Demy, Orson Welles). The Brattle is the closest thing Boston has to a traditional art house theatre or one that gives equal space to current run, repertory and international films in their schedule. So if you’re looking for a theatre that will reliably feature good movies, checking out the Brattle is your safest bet. Also, the Brattle is a nonprofit, so going to see a movie there is really just helping the community, right? 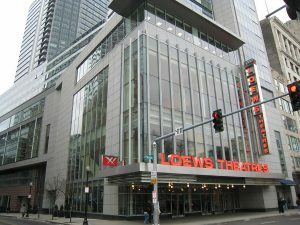 I am personally very attached to this theatre — it’s the one I go to the most in Boston, and the one I would be most upset not to be able to go to. The Coolidge is the best place in Boston to catch independent or art house picks that end up being nominated at the Oscars, but also to find special early screenings (I saw “Manchester by the Sea” three weeks early for free here) and excellent repertory screenings (“The Big Sleep,” “Chinatown”). Coolidge is also an old movie palace built in the 20th century. The main theater hall is something to behold. It’s also a nonprofit organization like the Brattle and the Harvard Film Archive, so seeing a movie here is supporting a valuable organization.